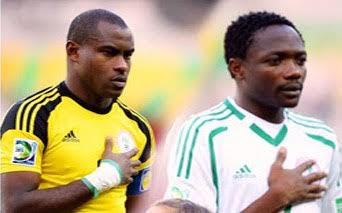 Super Eagles’players, Ahmed Musa and Vincent Enyeama have made the Confederation of African Football (CAF) 2015 African Player of the Year award list. The list was released yesterday from the CAF headquarters in Cairo, Egypt. Other players listed for the African Player of the Year Award includes England-based stars Riyad Mahrez from Algeria, Yannick Bolasie of DR Congo, Andre Ayew of Ghana, Mame Diouf from Senegal, Kenya’s Victor Wanyama and Gabon skipper Pierre-Emerick Aubameyang. Reigning and African Player of the Year, Yaya Toure is also on a long list of nominees.